Your disability onset date is defined as the date your medical condition made it impossible for you to continue working. This date can play a vital role in determining your eligibility for back benefits. Your disability onset date is important because there is a five-month waiting period to receive SSDI benefits. You won’t receive benefits until five months after the onset of your disability, but having an earlier date assigned to your case increases the chance you’ll be awarded a larger sum in disability back payments. You can receive up to 12 months in back payments for the period before you applied for benefits. If you are found to be disabled 17 months before the date you applied, you would receive a full 12 months of benefits for time before the date of your application. When you fill out your SSDI application, you will be asked to provide a disability onset date. 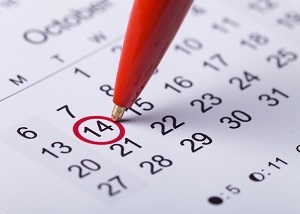 The date you list is called the alleged onset date (AOD). The date of disability the Social Security Administration determines after reviewing your application is called the effective onset date (EOD). Your personal statement as to when your disability began. Your medical records and related evidence. When your disability is the result of trauma, such as car crash injuries or work-related accidents, your disability onset date is considered to be the date of injury if you’re expected to be unable to work for at least 12 continuous months. If you are seeking SSDI benefits for blindness, the onset date is the date when medical evidence shows your impairment meets the legal definition of statutory blindness. However, if you were working despite being considered legally blind and later became unable to work, you must provide a second date describing the point at which you were no longer able to engage in gainful employment. When you’re applying for benefits as the result of a condition that began in childhood, you typically don’t need an exact onset date as long as the condition began before you were 22 years of age. A disability onset date is necessary if your disability was established after age 18, the disability began less than 12 months before the application was filed, and you filed before turning 23. When an applicant is hospitalized or was previously hospitalized for a mental impairment, the onset date is determined by medical records, medical history, and the testimony of hospital staff. Non-medical evidence from family members, former employers, or others familiar with the applicant’s condition can also be used to determine the disability date with permission of the applicant or his representative. Social Security officials realize that most applicants would prefer to be working instead of receiving SSDI benefits. As such, the system is set up to avoid unfairly penalizing work attempts. If you begin working after your disabling condition occurs and discover that you are not able to continue, this is considered an unsuccessful work attempt. An unsuccessful work attempt means you’ve tried working after a “significant break” of 30 days or more from the time you last stopped working or reduced your earnings below substantial gainful activity levels. Substantial gainful activity levels relate to a dollar amount in monthly earnings, which changes yearly. There are separate levels for blind beneficiaries and those who are not visually impaired. An unsuccessful work attempt can’t last for more than six months. If you were employed for over six months, your employment can’t be treated as an unsuccessful work attempt regardless of the reason why you were unable to continue working. Although you don’t need an attorney to apply for SSDI benefits through the Social Security Administration, the process can be extremely frustrating without legal assistance. Statistics indicate about 65% of applications are denied during the initial review. The legal team at Rechtman & Spevak is committed to helping disabled Georgia residents receive the benefits they need to cover the basic living expenses associated with a physical or mental impairment. Call today to schedule a free, no-obligation initial case review.